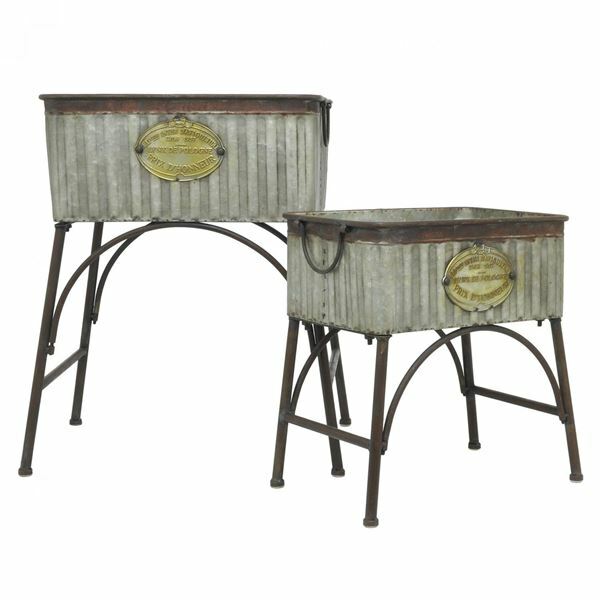 Display your flowers or plants with Farmhouse styling with this Three Hands galvanized metal planter set. Even if you don't have a lot of room in your outdoor living space. You can still grow your own herbs, greens, and other favorites with this galvanized steel planter.